So i have a question. Did u will bring this feature to the next update? In my Nokia 8 i have , face unlock (stock) an aPP to lock screen (lock Screen). Can also customize with nova launcher and have stock software camera. If you were a Oneplus user before and couldn't live with all those handy feature that they included then you surely must be unhappy that your Nokia 8 doesn't have those features. Nokia is going with the bare bone version of Android with no extra feature and no tweaking of the system software even in the slightest amount and I'm afraid they will keep on continuing in this path. 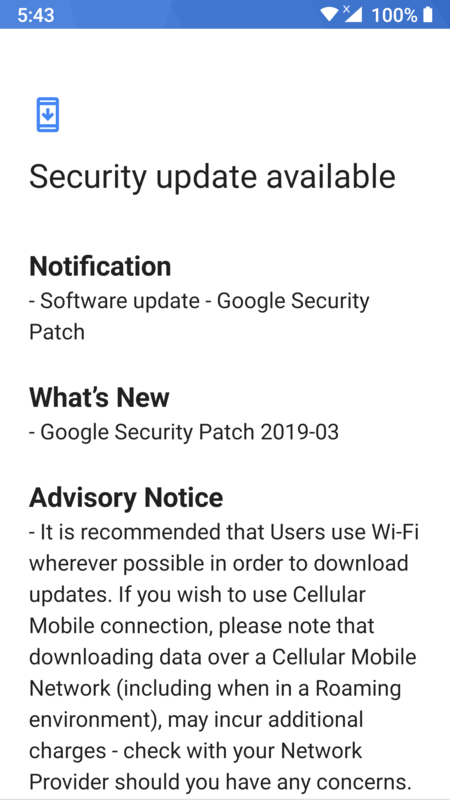 So, we have to rely on just the Android OS updates that Google provides each year to get any new improvements and features. And, I guess since Nokia 8 is at the end of software support that option is also over. Maybe you could utilize the Nokia 8 to the fullest since it is the only Nokia phone that has official bootloader unlock support. Try xda forums for more info. Sure thing. They're already burning the midnight oil to bring all those features SOON. @Potemkin Oh, wow, what for news. 😂 What di you know, what we don't know. It's Christmas? It would be very nice, but I can't believe after this months. We will see, what the week will bring. It unlocks with your face and not with the face of your friend. And by the way it's fast enough to unlock! Forcing the situation all forms of unleashing work. If you hold on to your hand the fingerprints work and if you force yourself to look at the smartphone also works. In fact sometimes even photos work. I am very disappointed by Nokia currently using Nokia 8 with the latest update and I have discovered many software glitches. These are: lack of ambient display, unusable glance, camera does not open from the shortcut on the lock screen. It does appear on the list of phones that will receive Android Q. I will never recommend Nokia to my friends. It does appear on the list of phones that will receive Android Q. It's a mistake and it's not on any official HMD list. @mrbelter You can write on your "list" the Nokia 8 SIROCCO and the Nokia 9 Pure View, too. HMD Global dislikes every kind of "flagships" and they hope, that the customers will forget this smartphones soon. No new features. GJ Nokia!